This month we would like to recognize another member of the STRIVE team—Susie Hughes. Susie worked for 42 years with the Department of Health and Human Services, 25 of those as a case worker/supervisor. So she was familiar with Matt Talbot and the services offered here because she frequently referred her own clients here for additional services. She and Sydne Wirrick-Knox, STRIVE team organizer, knew each other from church and had joked that Susie would become Sydne’s sous chef when she retired. So about a year ago, Susie did start volunteering at Matt Talbot, helping prepare meals for the STRIVE project. This was a natural fit for Susie, as her passion is cooking and she has often prepared meals for large groups of people at her church. Susie said that the STRIVE team was great to work with, as were the kitchen helpers, Randy and Wayne, and the guests that they served. She said the team tried to make the best-tasting food, while at the same time making it healthy. They prepared their food from scratch, helping them achieve those goals. When Susie is not helping at MTKO, she is quite busy with other hobbies and activities. She is a quilter and has made at least 12 baby quilts and nine king or queen-sized ones. She gave one to each of her nieces and nephews when they got married. She has exchanged pieces with their sister church in Germany. Susie and her husband belong to an antique car club and drive their 1926 Model T on tours throughout the country and into Canada. They have been taking these tours for 20 years. Since there is no heater in the car, it gets mighty cold in there on their winter drives! Susie and her husband live on an acreage, which has become home to about 15 feral cats. They feed and care for these little critters, earning her the moniker of “That Crazy Cat Lady”, which she is proud to own. 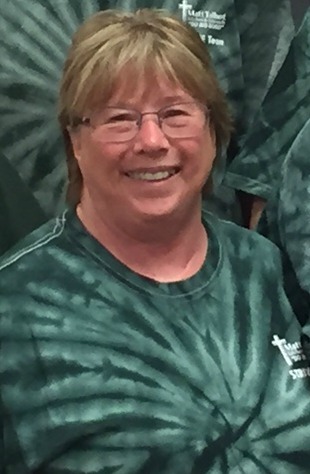 We thank Susie for choosing Matt Talbot as the place to offer her services and are so grateful for her many volunteer hours here. Thank you, Susie, and again, thanks to all the STRIVE team members for your dedication and hard work.